These are only a few. I would upload the images directly, but then you wouldn't get that neat-o scroll over text. I don't write code but I have the mind of of a coder in a jar on my desk. These are freaking funny. Thank you. My Absolute Favorite. 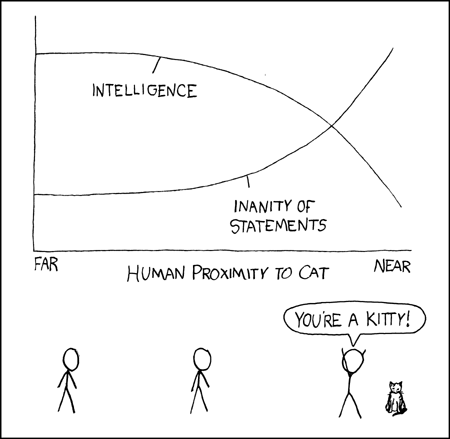 Perfect for everyone who tries to debunk nonsense. LMAO!! that's a hilarious one too. i'm warning you guys ahead of time.... you may spend days upon days going through these. venture in at your own risk. 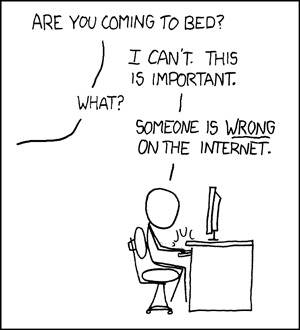 Looking at the other xkcd's people posted, I especially laughed at "Someone is wrong on the internet." Thanks, Mage! I would upload the images directly, but then you wouldn't get that neat-o scroll over text. Here, I clicked the "HTML" toggle button before pasting it into my message, so it goes in as an actual working tag. (I put it inside a link to the page). Clicking "HTML" again returns you to the regular writing mode.